Most sunscreens contain toxic ingredients or endocrine disrupting chemicals that in many cases may actually promote skin cancer growth and free radical production in the body. Even natural, commercially available sunscreens often have toxic ingredients! With skin cancer now the most common form of this deadly disease in the world, everyone knows how important it is to protect the body’s largest organ when going out in the sun. But many health conscious people are wary of slathering on thick layers of chemicals on a daily basis, and with good reason. Simply reading the list of ingredients on a common commercial sunscreen product usually reveals an extensive assortment of impossible to pronounce compounds. Fortunately, those who do worry about the dangers of overexposure to the sun yet do not want to rub potentially toxic substances into their skin do have some wonderful alternatives: natural oils. Many cold pressed oils from common vegetables, nuts and seeds have the ability to filter the sun’s powerful rays, diluting them so that you can enjoy more time in the outdoors. Natural oils also usually contain powerful substances that protect your skin from damage at a cellular level, providing additional benefit when used as sunscreen. This rich oil is one of nature’s best skin guarding oils, providing a level of protection from the sun that matches high end commercial sunscreen products. Carrot seed oil is very concentrated and should be mixed with a carrier oil to create a highly effective natural sunscreen that can be used on a daily basis. According to a 2009 study in “Pharmacognosy Magazine” natural sunscreen products containing carrot seed oil have an SPF of 38-40. Carrot seed oil is also a rich source of the antioxidant beta-carotene, which gives it (and carrots themselves) their orange hue. This powerful natural compound has been found to have a slew of positive benefits on human health, including the ability to protect against certain kinds of cancer and boost the immune system. Because it has been found to specifically protect against UV damage, beta carotene is also used extensively in the skin care industry. Highly absorb-able and packed with skin enhancing properties, red raspberry seed oil is probably nature’s best full spectrum sunscreen. With SPF levels between 25 and 50, it provides protection from not only UVA and UVB rays, but even UVC as well. For this reason, red raspberry oil is frequently added to high end sunscreens produced by cosmetic companies. But red raspberry seed oil does much more than just protect your skin from the sun when applied topically, it can also drastically improve skin quality. This is due to the high proportion of omega 3 and omega 6 oils that it contains as well as vitamins A and E. Red raspberry oil is used as a natural cosmetic and moisturizer and is even credited with being able to reverse severe damage like scars and stretch marks. Inexpensive, easy to find and sweet smelling, coconut oil is a staple skin care products of traditional tropical societies all over the world. Worn when going out in the sun it provides a moderate level of protection against the sun’s rays; it was found to have an SPF rating of 8 in a 2010 study published in the scientific journal “Pharmacognosy Research”. Coconut oil is also extremely moisturizing, and is known for giving the skin a radiant and healthy glow as well as a silky soft texture. This due to its high level of medium chain fatty acids, which penetrate deep into the skin and preserve its moisture. The deep green-yellow color of cold pressed virgin olive oil is a sign of its natural sunscreen ability, as it provides medium level protection from UV rays. It was given a rating of SPF 8 by the study in “Pharmacognosy Research”. Olive oil also contains a class of antioxidants known as polyphenols that give it health promoting properties when consumed. When applied to the skin, these same polyphenols help prevent age and environment related damage, including wrinkles and fine lines. The golden oil of this delicious nut is another common and easy to find oil that makes a great light natural sunscreen. The same study mentioned above found that almond oil provides a natural protection level of SPF 6, on par with many suntan lotions sold commercially. Almond oil is also rich in vitamin E, which rejuvenates the skin’s surface and as an antioxidant and protects the cells and membranes of the skin. Hair fall itself is not a problem, but a symptom. When you get hair fall, thinning of hair in patches from head, or just overall thinning, which you cannot control, then you have to understand that there is always an underlying cause. This underlying problem, deep rooted in your body system makes hair fall, and also brings on other apparent and unapparent problems in body. The most common hair thinning problem in men, referred to as hereditary baldness, and in women, referred to as Alopecia, is a genetic problem. They are programmed by hereditary traits to get shrinkage in their hair follicles with time. This results in very less space inside follicles to hold a shaft of hair and hair falls off. To prevent this problem, one can take medicines and supplements which alter chemicals and hormone levels in the body to prevent shrinkage of follicles, and generate new follicles. But such medications and treatment has to be continued for life, else once stopped baldness will recur. Often lifestyle is a big factor in thinning of hair. As you have irregular sleep and wake up times, have bad food habits and dependency of street food, oily and unhygienic food, and take alcohol and smoke a lot, you can expect problems with not just hair but your entire system. Hair thinning and baldness often comes from these, and also from stress and anxiety arising out of stressed work life, relationships etc. 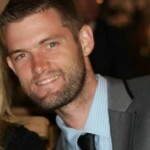 Serums, creams, vitalizers, are all external factors which can help for the time being, but not as a permanent solution. In some cases none of these works also, and you feel helpless with receding and/or thinning hair line. Platelet-rich plasma from your own body can be used to treat the skin and vitalize for new hair growth. This is the best possible natural solution, and suitable for all. Hair loss also occurs due to many other body problems like chronic skin conditions, liver diseases etc. In all such cases, the body problem must be treated first to restore a balance. In case of chronic problems which stay for life, the best possible solution is to talk to an expert professional and take medication and treatments as needed. There are sometimes very deep causes and medical conditions behind the hair loss. There can be some kind of infection or nutrition deficit, radiation related problem and many others, which may lead to hair fall. If you have the slightest feel that some such problem can be the reason as you are facing some debilitating disease or weakness or therapy, then you must talk to your doctor first. Without taking consent of the doctor in such a condition, it’s not safe to go for cosmetic hair treatments. Also many medicines have side effects that cause hair fall. Hence your complete case history needs to be discussed upfront with your doctors to detect the true reason of hair fall. And then you may decide the course of treatment. Author Bio: Isabella Rossellinee is a hair fall specialist, and also specializes in multiple studies which relates to cosmetic treatments, skin and hair health etc. In her researches she often uses and buy antibodies to see the reactivity of them in several conditions with skin and hair. She is an excellent person to discuss hair fall problems. If you ask me, green drinks are the greatest thing since sliced bread. Having a green drink in the morning provides a natural energy boost for the day and is the perfect way to support the body’s elimination and detox processes. But for some people, the taste of straight greens can be so off-putting that they go without. 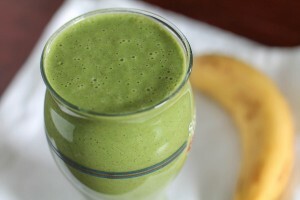 Well, today I’m going to share with you the perfect green smoothie for people who aren’t so keen on greens. This recipe is packed full of goodness and tastes delicious. Even if you do love your greens, it’s a sweet, refreshing alternative to a straight green drink. Not So Keen on Greens? Having bananas in the morning gives a great boost of electrolytes to help rehydrate, They’re also high in B-vitamins, which will give you a welcome boost to your brain’s function first thing in the morning. They also contain resistant starch, a healthy carbohydrate that helps you feel fuller for longer, and add some creamy sweetness to your smoothie. Almond milk is a great alternative to dairy. It is rich in nutrients like magnesium, manganese, zinc, potassium, phosphorus, iron and vitamin E, and is a source of fibre and protein. The high antioxidant content in almond milk can help to suppress free radical activity and support the healthy function of the immune system. Hemp seeds are among the most nutritious seed in the world. A true gift from nature, hemp seed contains a perfect 3:1 ratio of omega 3 to omega 6 essentially fatty acids, and contain vitamins and minerals like Vitamin E (alpha tocopherol) a powerful antioxidant. Hemp seeds are also 36.6% protein by weight, and are one of the most complete proteins in the plant food kingdom, containing all 21 essential amino acids required for optimal human health (including the 9 that humans can’t produce themselves) in just the right proportions we need. Cinnamon is one of the oldest spices used throughout the world – ancient Egypt and China for example. And when you look at all that this spice can add to your life, there’s no wonder the ancients loved it. Multiple Sclerosis – cinnamon may help stop the destructive process of multiple sclerosis (MS), according to a neurological scientist at Rush University Medical Center. Cinnamon could help eliminate the need to take some expensive and unpleasant drugs. Spice up your life and add some cinnamon to your smoothie! It’s a perfect complement to the almond milk, and helps bring out the sweetness of the banana. Adding a few drops of liquid zeolite to the mix will bring some helpful health benefits to this delicious recipe. A natural detoxifier, zeolite is a mineral compound that absorbs, neutralises and removes heavy metals from the body without removing good nutrition. In fact, as zeolite removes the toxins that inhibit nutrient absorption, nutrient levels have been shown to increase with regular use. Zeolite stabilises pH by absorbing excess protons, helps to balance blood sugar, and reduces allergy symptoms by absorbing antigens, allergens and nitrosamines. Zeolite also appears to activate the p21 tumour suppressor gene in cancer cells, causing tumour cells to stop growing, and showing a decrease in tumour size (source). Finally, what green smoothie would be complete without some greens!? Spinach is a powerhouse leafy green. It is a very good source of dietary fibre, protein, vitamin A, vitamin C, vitamin E, vitamin K, vitamin B6, thiamin (B1), riboflavin (B2), folate (B9), calcium, iron, magnesium, phosphorus, potassium, copper and manganese. It is also naturally low in saturated fats, and provides a good source of niacin (B3) and zinc. Spinach also has a milder taste than other greens, like Kale. Handy Hint! If you’re using frozen bananas, cut them into small pieces first in order to not break your blender. Gavin Bragg is a writer, adventurer and natural health advocate. In late 2007, Gavin’s wife Ashley was diagnosed with an inoperable brain tumour. Western doctors told Ashely her condition was ”terminal” and told her to say her good-bye’s. But Gavin and Ashley “turned East” for their answer to cancer, and discovered the healing properties of a mineral compound, zeolite, commonly used in eastern medicine. Much to the confusion of Western doctors, Ashley treated herself with liquid zeolite and has been clear of cancer for over 5 years, regaining her health and control of her life. Given purpose by this “second chance”, Gavin and Ashley have become distributors for NCD2 Pure Liquid Zeolite, the product Ashley credits with saving her life. Gavin and Ashley are on a mission to spread the word about natural health alternatives, and hope that natural treatments like zeolite will soon replace the dangerous, ineffective pharmaceuticals that flood the so-called “health care” industry. Visit PureLiquidZeolite.com for information, testimonials, research and more. 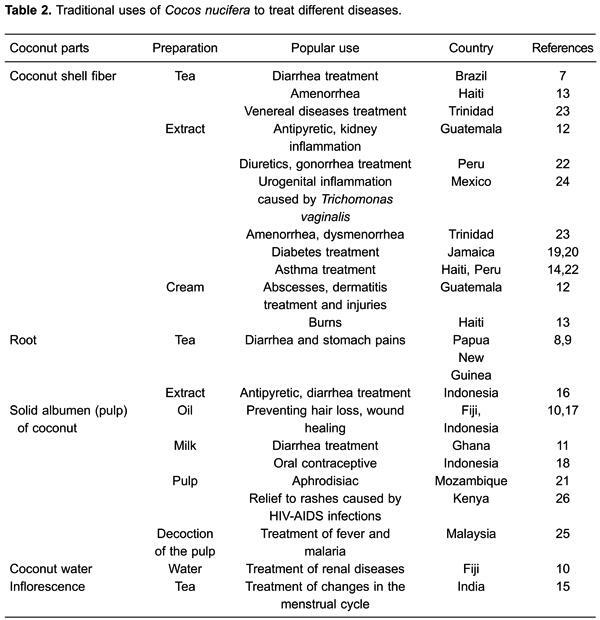 A scientific review on the coconut palm (Cocos nucifera), which is referred to as “the most naturally widespread fruit plant on Earth”, reveals numerous beneficial biological effects of its various constituents, which include the husk, root, oil, water, and flesh. The study, titled “Cocos nucifera (L.) (Arecaceae): A phytochemical and pharmacological review,” also reviewed the toxicity literature on the coconut palm’s various constituents and found there was no evidence of acute toxicity, and only low toxicity associated with chronic exposure. The review also summarized the traditional healing applications of the coconut palm. This is an important complementary data set, because though many of the traditional uses have not yet been tested and validated by science, they may actually work exceptionally well for these conditions in actual practice. Sayer Ji is the founder of GreenMedInfo.com – an open access, evidence-based resource supporting natural and integrative modalities. He is on the Board of Governors for the National Health Federation and Fearless Parent, a Steering Committee Member of the Global GMO-Free Coalition (GGFC), a reviewer at the International Journal of Human Nutrition and Functional Medicine. Since 2003, Sayer has also served as a patient advocate and an educator and consultant for the natural health and wellness field. Have you ever wondered why Coke comes with a smile? Because it gets you high. They removed the cocaine almost 100 years ago. Why? Because it was redundant. So What Happens to Your Body When You Drink a Can of Coke? In the first 10 minutes: 10 teaspoons of sugar hit your system. (100% of your recommended daily intake.) You don’t immediately vomit from the overwhelming sweetness because phosphoric acid cuts the flavour, allowing you to keep it down. 40 minutes: Caffeine absorption is complete. Your pupils dilate; your blood pressure rises; as a response, your liver dumps more sugar into your bloodstream. The adenosine receptors in your brain are now blocked, preventing drowsiness. 45 minutes: Your body ups your dopamine production, stimulating the pleasure centres of your brain. This is physically the same way heroin works, by the way. > 60 minutes: The phosphoric acid binds calcium, magnesium, and zinc in your lower intestine, providing a further boost in metabolism. This is compounded by high doses of sugar and artificial sweeteners also increasing the urinary excretion of calcium. > 60 minutes: The caffeine’s diuretic properties come into play. (It makes you have to pee.) It is now assured that you’ll evacuate the bonded calcium, magnesium, and zinc that was headed to your bones as well as sodium, electrolytes, and water.